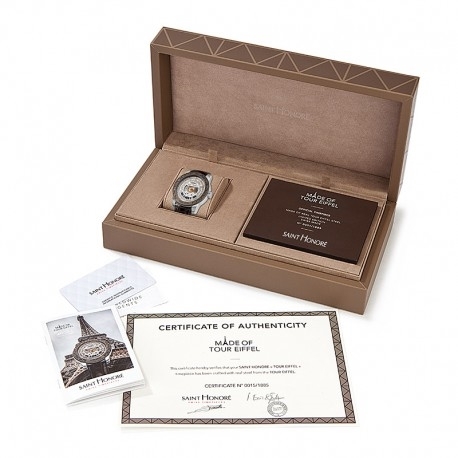 Iron from the Eiffel Tower for a SAINT HONORÉ watch... To mark its 130th anniversary, SAINT HONORÉ has designed a collector's timepiece: the first ever to be made from a piece of metal girder from the world's most famous monument. 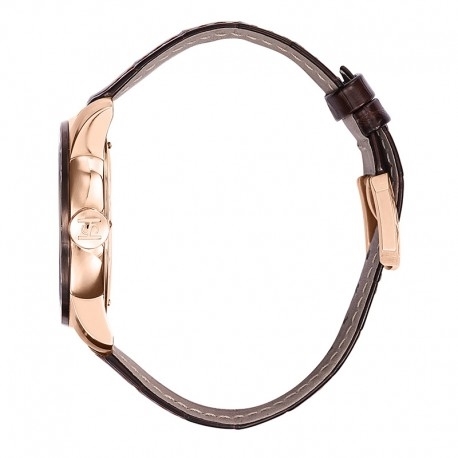 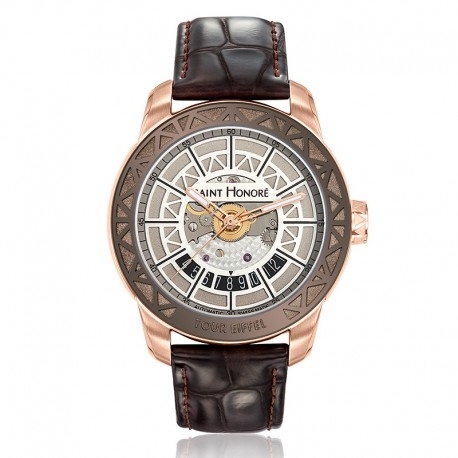 SAINT HONORÉ has used this precious component to make the bezel, its decoration and brown colour an unmistakable reference to the iconic French monument. 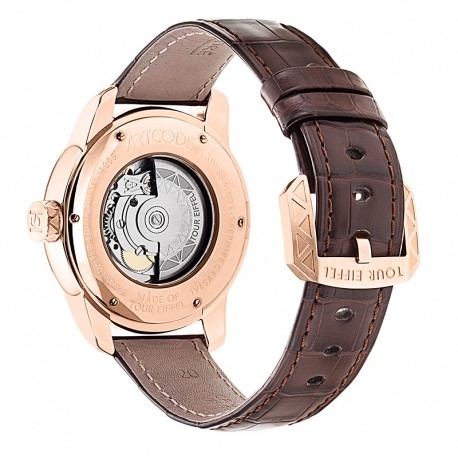 The bezel surrounds a raised dial based on the same architecture; at its centre, it reveals the wheel train of the automatic mechanical movement specially personalised by SAINT HONORÉ.